Wye Valley Miniature Golf01600 890360work Pitch & Putt/Crazy GolfWye Valley Miniature Golf is a family friendly twelve-hole minature course set amongst the fantasy ruins of a picturesque roman farm villa. At Wye Valley Miniature Golf, will you beat par for the course, or anyone else playing with you? Will you curse the gods at the Shrine of the Four Seasons or work up a lather in the roman bath house? Score clubs and balls provided. The Wye Valley Miniature Golf is an original design with excellent all weather artificial turf playing-surface. We have refreshments available, with indoor and outdoor picnic areas. 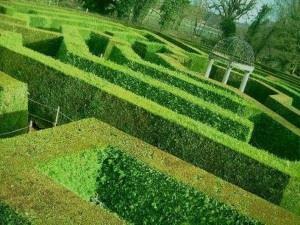 Special offer: half price rounds for customers of the Amazing Hedge Puzzle or the Wye Valley Butterfly Zoo. This is huge fun. Take the A40 Trunk Road between Ross-On-Wye and Monmouth Turn off the A40 at Whitchurch and head south on the B4164 towards Symonds Yat West. At the roundabout take the Symonds Yat West exit. Follow the B4164 for 100 metres to find The Amazing Hedge Puzzle on your left, opposite the Old Court Hotel. Our Car Park is charged with a £2 voucher redeemable when you buy tickets for The Amazing Hedge Puzzle, Wye Valley Miniature Golf, Butterfly Zoo or Laser Tag all of which are at this venue.